Description: Le Beau Touché and Le Beau Touché - HM are two distinctly different products with some very similar characteristics. Both are sulphur free modeling clays that were introduced because of their exceptional smoothness and adhesive qualities. Le Beau Touché products are used by many types of artists who often are looking for a product that will stick to basically any armature material. Both Le Beau Touché formulas hold very good detail, carve and shape easily, have tremendous flexibility and will not dry or crack. Le Beau Touché - HM is preferred by clients working in warmer climates, above 90° F. It is very similar to the original Le Beau Touché but is slightly firmer and less tacky at room temperature. The original Le Beau Touché is very sensitive to heat variations but the HM formulation will remain stable even at higher temperatures. 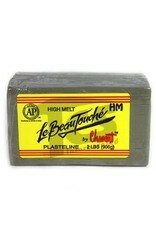 Le Beau Touché and Le Beau Touché - HM are every smooth and even flowing products. The smallest amount of heat, just friction from rubbing it in your hands, will soften the original Le Beau Touché. These clays may feel slightly firm in the original extruded blocks but slicing off small amounts will make it very manageable. The Le Beau Touché product line is commonly used by artists for the creation of sculpture or to build dams when making splash molds. Both formulas are available in Brown and Gray-Green. Handling Tips: Le Beau Touché can be warmed to soften but as it softens it also becomes sticky. 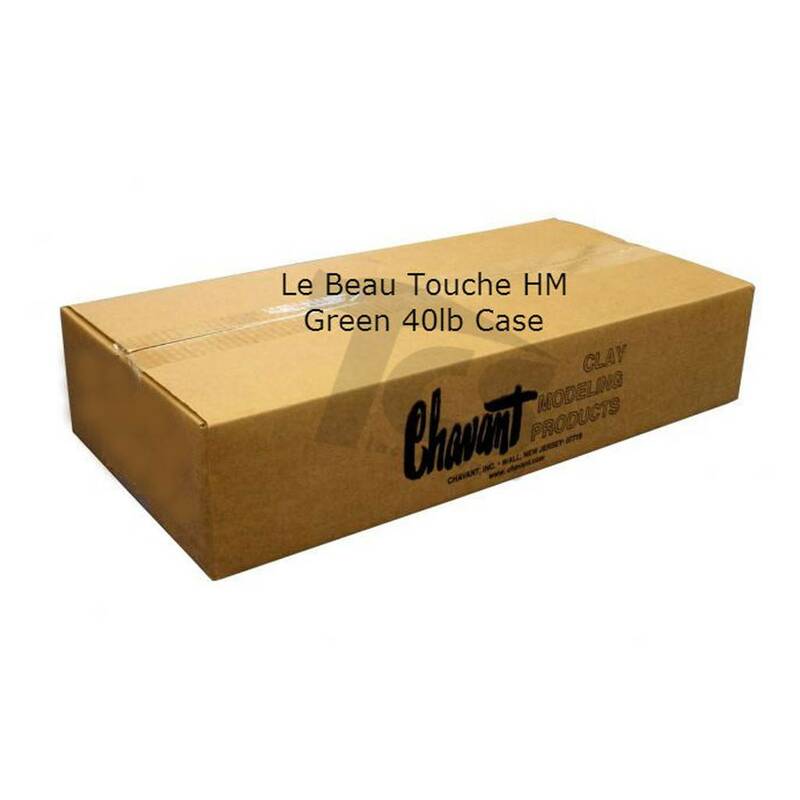 Le Beau Touché - HM can be warmed to soften and will work quite nicely at about 105° F. Using small amounts of citrus-based solvents, lighter fluid, latex paint removers, turpentine or mineral spirits as a lubricant on the surface of the clay will help to attain a smooth surface. 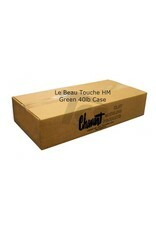 Softening point: Le Beau Touché and Le Beau Touché - HM are generally used at room temperature. Le Beau Touché - HM is sometimes warmed to a temperature of 110° F - 115° F to soften it. When it returns to room temperature it also returns to the initial firmness. Working Temp: Le Beau Touché, up to 90° F maximum. 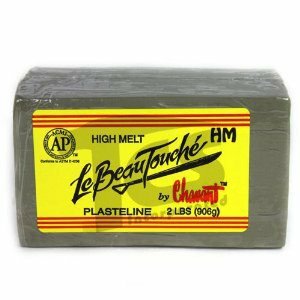 Le Beau Touché - HM, room temperature to 105° F.
Cautions: Heat over 90° F will cause the original Le Beau Touché to get very soft and sticky and the clay will begin to sweat or sag. The HM formula will tolerate these normal changes. Wash hands with soap and water after use.